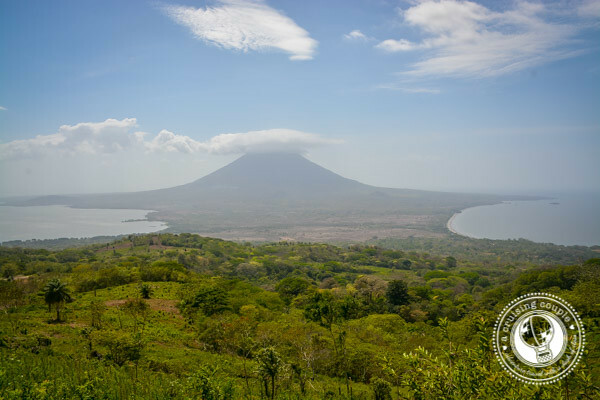 Hiking Maderas Volcano on the Island of Ometepe, Nicaragua, is one of the country’s most talked about activities. I had heard from numerous other travelers that the hike was intense but totally worth it. If they could do it, then I figured I could too. After all, I did run a marathon three years ago and haven’t really exercised much since, so tackling this volcano should be a piece of cake. This is what I thought to myself the day before I was set to hike up the 1,394-meter high Maderas Volcano. It was a thought I would later laugh about when I could barely walk because my thighs were so sore. Maderas Volcano is the smaller of the two volcanoes that make up Isla Ometepe. Ometepe is gorgeous in that it sits peacefully in Lake Nicaragua, and at least one of the two volcanoes always seems to be within view no matter where you are on the island. We knew we wanted to hike one of the volcanoes during our few days on the island. Unfortunately, a 24-hour stomach bug prevented Casey from scaling with me, leaving me to tackle the giant on my lonesome. To hike the volcano, it is mandatory to have a local guide. 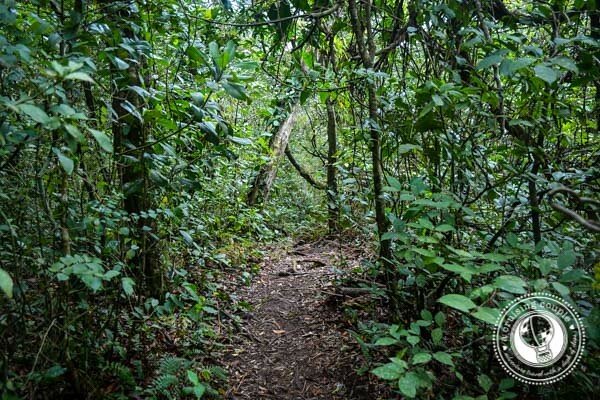 While it may seem hard to get lost on a volcano in the middle of a lake, there are many side trails and unmarked intersections that can lead unguided hikers astray. The trail, especially at the top, is very, very muddy and slippery. It would be a shame to be at 1,300 feet and injure yourself without a guide. Unfortunately, unguided hikers have lost their lives on the volcano, so don’t take this recommendation lightly. Guides are easy enough to find on the island. We arranged our guide and transport from our hotel, the Xalli Ometepe Beach Hotel. The cost of the tour and transport will depend on where you are staying and how many are in your group. My transport and tour cost a total of $55. 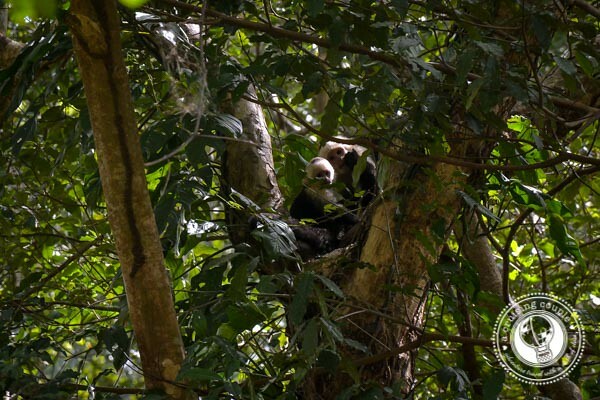 My guide was very knowledgeable about the area’s plants and wildlife. On the way up we were able to see multiple troops of monkeys, various species of birds, bats, coffee and chocolate plants and even a harmless (thankfully) snake. The guide said he had hiked the volcano over 600 times, at least once a week for as long as he could remember. No chance of getting lost with his expertise! There are several trails that lead to the top of the volcano. If you’re anything like us and you don’t like retracing the same route down that you came up, then I recommend climbing from Finca Magdalena and returning down the Santa Cruz Trail. The trail from Finca Magdelana is four and a half kilometers from the start to the rim of the volcano. This portion takes anywhere from two and a half to four hours depending on your fitness level and the condition of the trail. 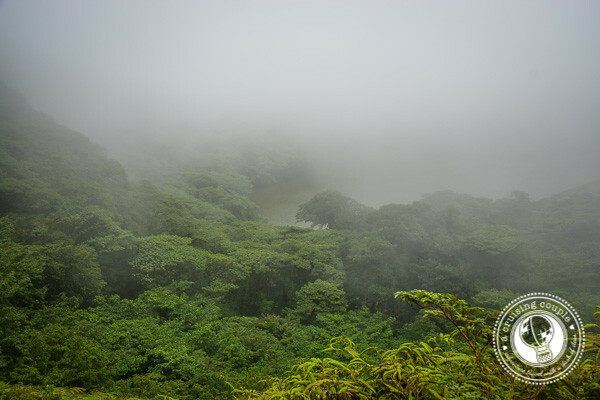 The upper portion of the volcano is commonly covered in fog, which helps keep the prosperous cloud forest green all the way to the peak, but it also means lots of mud. *Helpful Hint: Bring clothes and especially shoes you aren’t worried about throwing away. You will get muddy! I didn’t think I would. I did. The last third of the climb is basically scrambling over rocks that are slowly sinking into the ankle-deep muck. Bring a hiking stick and be prepared to slip. Luckily the mud makes a soft place to fall. Once you reach the rim, it is about another 20 minutes if you choose to hike into the volcano’s crater to the lagoon inside. 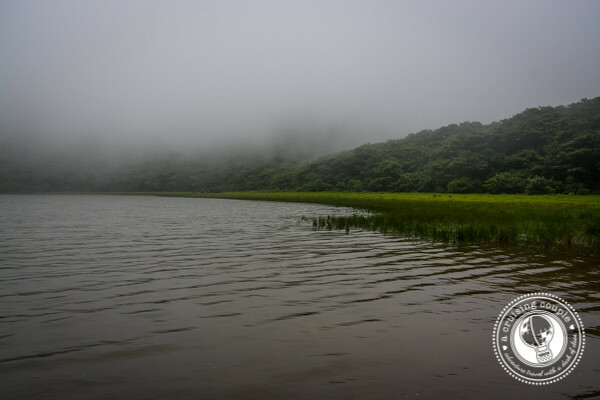 The upper portion of the volcano was covered in mist during my hike, and it gave the lagoon an extra special mystical touch as calls of howler monkeys echoed in the crater. I stayed long enough just to eat lunch and wait for the fog to lift to see briefly the other side of the lagoon. 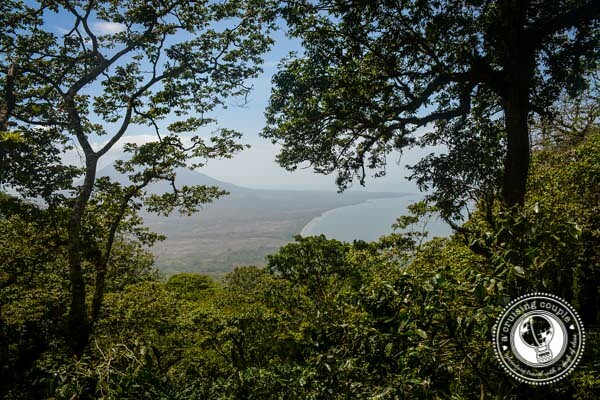 On the way down, the Santa Cruz Trail has a more open canopy that allows for stunning views of Concepcion Volcano and Lake Nicaragua stretching off into the distance. The way back down will likely take the same amount of time that it did going up, three to four hours. It is significantly warmer in the afternoons so take your time and enjoy the view. Clothes you don’t mind leaving in the trash. As I mentioned before, anything you bring will get mud on it. Twice as much water as you think you need. I drank a whole liter and a half on my own and could have had more. Bring an extra bottle. You’ll thank yourself. Sturdy hiking shoes. While I admit I did the hike in sneakers, it is very easy to slip and twist an ankle on the rocks and mud. Break in a pair of good boots before your trip. An extra snack. Your tour or hotel will likely provide you with lunch to bring with you or to enjoy at the lagoon. It doesn’t hurt to have an extra pack of crackers for a little pick-me-up. A camera! The views looking out over Concepcion Volcano and Lake Nicaragua are absolutely stunning. 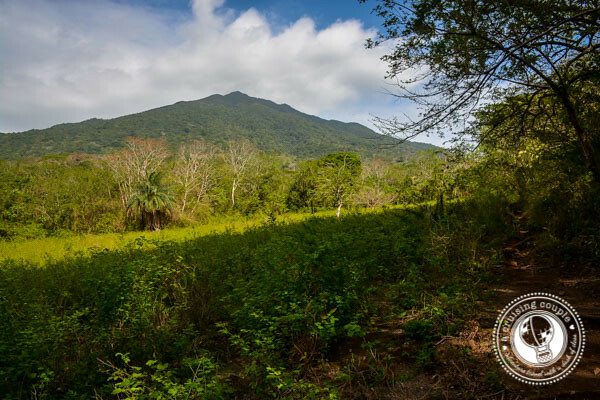 While hiking the Maderas Volcano will surely result in mud and sweat, it is an experience that shouldn’t be missed while on Isla Ometepe. Between the stunning views and the immense feeling of accomplishment when you have finished, you’ll be glad you took the effort to hike Maderas Volcano. 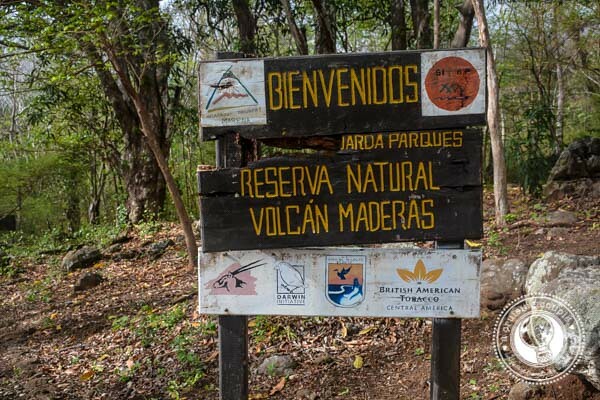 Have you hiked Maderas Volcano? What is the toughest hike you have ever done? Cool post and thanks for a very helpful detailed hike. Ill be in Nicaragua in Aug and will be spending a week in Isla de Ometepe. I intend to hike at least one of the Volcanoes or at least one of the 2. Why did you pick Maderas over Concepcion? Not really hiker but more of a runner. Would it be much more challenging for a non hiker to tackle this hike up or it wasnt really as hard as I think it is? Appreciate your help. Best! Hi Toni, Thanks so much for the comment. Both hikes are definitely challenging, but as long as you are in good shape, then you’ll be fine. 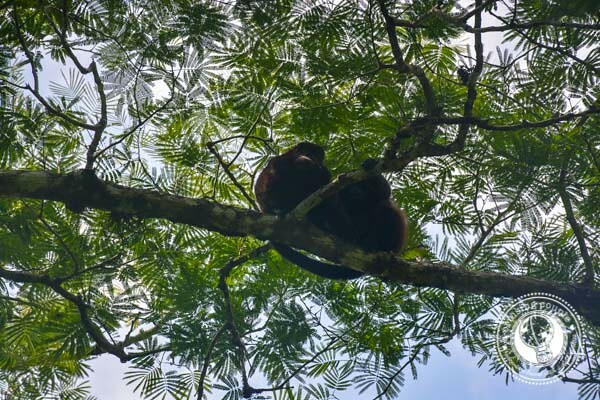 :) In terms of which to hike, most people recommended Maderas to us because there is more shade on the volcano because of the dense jungle, you can see more animals/monkeys, and there is a better view at the top when you are about to come back down. The little lake in the crater at the top of Maderas is also beautiful. Concepcion is more challenging and still active, so I think a lot of avid hikers like that one. There is not much vegetation on the volcano, so it is a lot more hot, but the scenery is different and also still beautiful. Unfortunately since we didn’t hike both we can’t offer more in-depth information, but Maderas was definitely beautiful, difficult but doable, and a great experience over all. Hope that helps! I’ve always wanted to hike a volcano! great post! I have been hiking Mombacho Volcano. It is in Granada, Nicaragua. It is a hard walk! I will hike in few weeks Maderas and I will see if I Can hike Concepcion too! That is a beautiful volcano! The forest cover seems virgin, and the scenery is lovely. Can we take a dip at the lake?